It was late, and we were sitting in the bar with a night cap when a waiter walked by armed with a jug of milk and some bread crumbs. Strange after dinner order I thought, so I followed him. He opened the back door and left them out on the step. Even stranger, must be for a very special guest. “For our badgers” the waiter told me after seeing my perplexed stare. It seems at the Isle of Eriska Hotel even the badgers are well looked after. 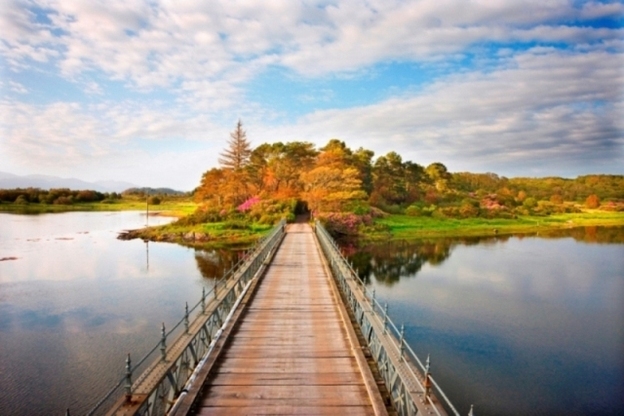 The Isle of Eriska Hotel is a magnificent piece of Scottish magic tucked away on its own 300 acre private island a few miles from Oban on Scotland’s rugged west coast. The truth is, this piece of magic might not have happened at all if it weren’t for the foresight and ambition of Robin and Sheena Buchanan-Smith in 1973, who risked everything to create their own brand of hospitality on Eriska. The main house was at that point a wonderful piece of 19th century local history, but sadly left in a bad state of neglect, the acres of gardens and forest overgrown. 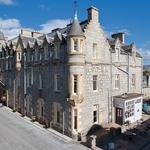 But after nearly a year of toil they opened for business and the Isle of Eriska Hotel was born. Today the hotel is still very much Buchanan-Smith property, but now the mantle has been passed to their son Beppo who has guided this wonderful elegant lady to what it is today; a 5 star luxury island retreat with a Michelin star restaurant, spa and gym, a 9 hole golf course and of course a private island and acres of manicured gardens to wander. 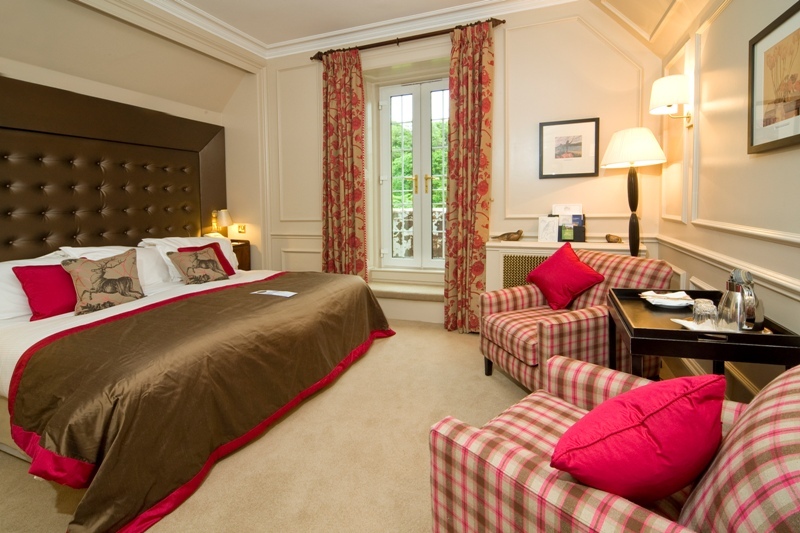 Purists and seasoned customers will no doubt prefer the 25 main house guestrooms; classic old world design, each one with plenty of individual character (the ones on the top floors get the stunning views). But Beppo has expanded Eriska with extra accommodation hiding within the gardens. Spa suites with their own outdoor Jacuzzi and patio, conservatory, huge lounge and ensuite bedroom; more secluded are two bedroom cottage suites; and even more secluded are self contained Hilltop Reserves offering private self catering accommodation but with the all of Eriska’s facilities if required. 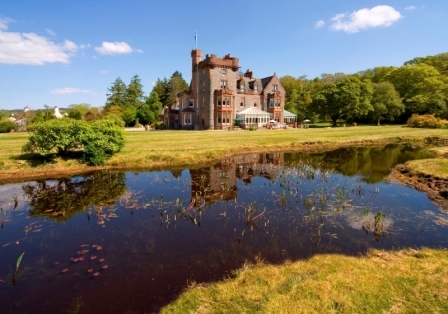 For me though, it’s the house that’s the beating heart of Isle of Eriska Hotel. A wonderfully grand 19th century mansion, with log fires crackling, floor boards creaking and that wonderful feel of elegance and pomp which only comes with houses like this. 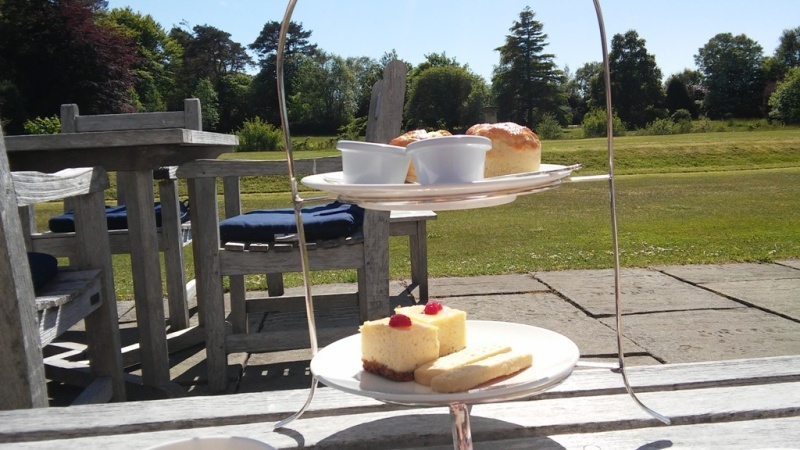 Complimentary tea and homemade scones at 4pm are de rigueur of course, taken outside on the patio by the croquet lawn on a hot sunny day. The theatre of it all is just perfect. There is free tea and coffee in the mornings too if you want to come in and just lounge around reading the papers. Come evening and it all gets a little more serious. 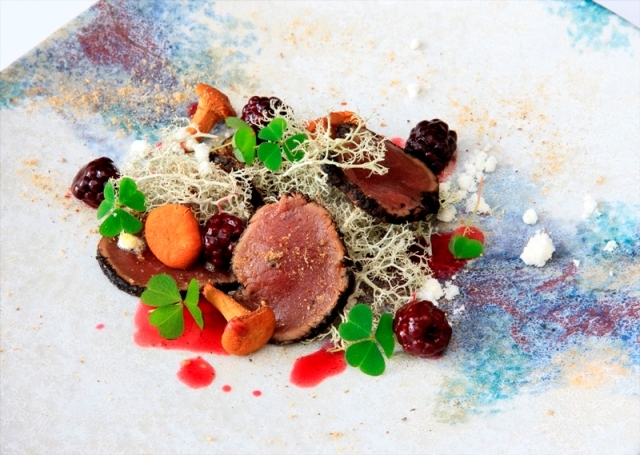 After all, this is 3 AA Rosette and Michelin star quality dining. 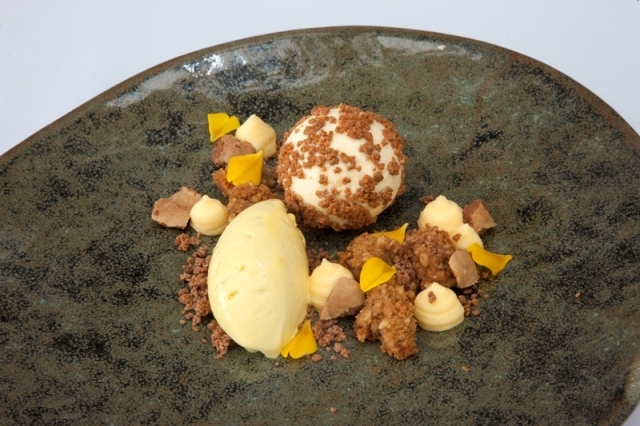 Dinner is included in the daily rate, a generous array of flavours far too good to gloss over here, but well worth reading about in my review of the Isle of Eriska Restaurant. Let’s just say for now. head Chef Ross Stovold provides a magical celebration of Scottish west coast produce beautifully presented in an intimate dining setting that would be hard to beat anywhere. The Farmhouse cheese trolley cameo alone is worth the admission. You sit at your table window as dusk falls and watch nature’s tableaux unfold; a couple of Roe Deer peek out from the forest and sensing only friends, chase each other around the lawn, a few rabbits join the party along with a heron or two. Then of course much later, the badgers come for their night time snack. Away from the main house there is much to do. 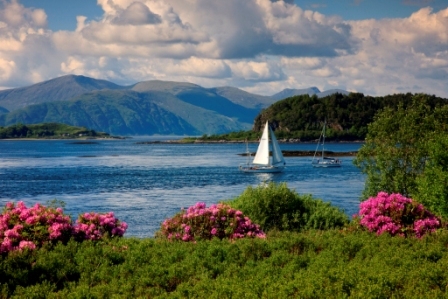 The golf course, while not perhaps comparable to the many fine links nearby, is a worthy diversion along the banks of Loch Creran, there’s clay pigeon shooting, archery, sailing, private fishing, biking, walking and a new indoor sports hall with full size tennis court. 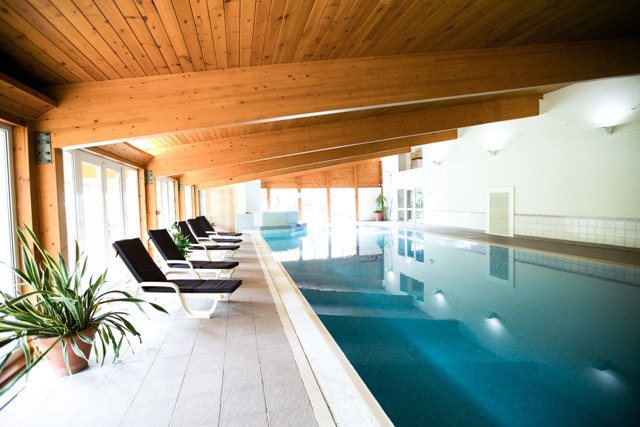 The Stables Spa is a haven of wellness with ESPA trained therapists ready to rebalance your body and mind, a 17 metre indoor pool, sauna, steam and gym. And then upstairs, The Deck, a new all day dining restaurant where enjoyed lighter bites and a glorious view across the loch to the mountains beyond. The Isle of Eriska Hotel may be family owned, but there is a real sense of family about the whole team there. Perhaps it’s because we were all together on an island, cocooned from the rest of the world, or just the Buchanan-Smith way of doing things handed down through the generations. It’s a very special place and you feel very special too. 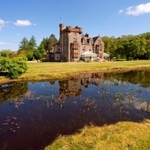 I want to stay at The Isle of Eriska Hotel. How much is it? Eriska Spa Getaway costs £499 per person and includes: 2 night accommodation, a dinner in the Michelin starred restaurant, one dinner in the Deck restaurant, breakfast each morning, morning coffee and afternoon tea each day, a 30 minute Rasul Mud treatment, either a 90 minute Holistic Back, Face and Scalp treatment or a 90 minute Holistic Total Body Care treatment unlimited use of the spa facilities and 9 hole golf course. 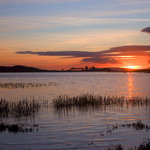 When visiting Scotland, you can also fly to Inverness from London (Gatwick & Luton) and Bristol, and to Aberdeen from London (Gatwick & Luton) with easyJet. *one-way, including taxes, based on two travelling.